A day designed around hope and the spirit of success. Dyslexic Day offers the opportunity for anyone and everyone to honor being Dyslexic and celebrate the positives and the spirit of giving that each of us has. It is hard to see yourself in the future if you don't believe in yourself today. If you do not acknowledge and honor your abilities and successes today, it is hard to believe in your education and success in the future. It is difficult to believe in your education and success in the future, if you don't believe in your accomplishments and abilities today. Care to share and celebrate your school stories of success. Cultivate your creativity, discover your abilities and find your voice this year! 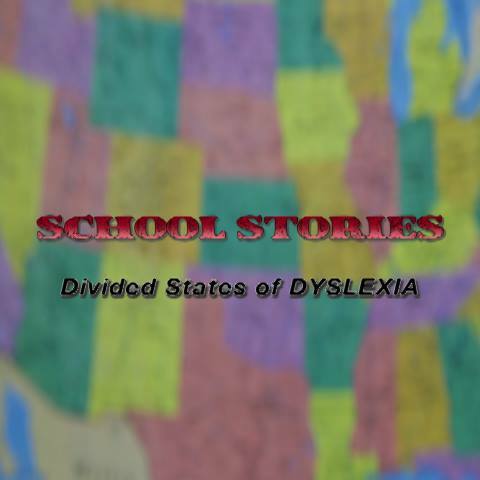 Stephen Polk's feature documentary "School Stories: The Divided States of Dyslexia”(DSD). This documentary reveals the secret stories of dyslexia in the United States school system and the inappropriate education families and students are subject to. These stories bring to life the national neglect and stigmatization of the dyslexic student due to an antiquated educational system that is ill-equipped to address this hidden crisis. The film follows the personal journeys of families navigating the school system as they face the disruptive states that are inevitable in school: states of denial, distress and despair. Along with the documentary, there is a robust multimedia component called Dyslexic Days and School Stories. These grassroots local movements include hosted events at homes, schools and churches and online. This platform is an opportunity for people to come together and share conversations and digitally capture stories designed to change the perception of Dyslexia. Dyslexic Days online is a social media movement that spotlights individuals making a difference and honors inspirational students and parents, teachers and coaches. School Stories online (https://www.facebook.com/School-Stories-518197161685009/) is short film web series where people have an opportunity to upload and share stories for surviving to thriving in school. Hold a "Dyslexic Days Library initiative"